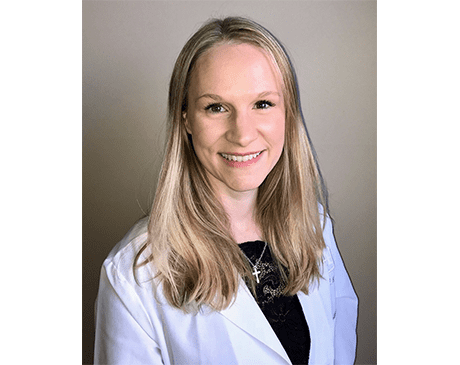 Kristen Eisinger is a licensed, board-certified Physician Assistant practicing medical and surgical dermatology in the Gurnee and Libertyville. Kristen grew up in Libertyville, IL, and is thrilled to be serving in the community where she was raised. She earned her Bachelor of Science in Biology at the University of Illinois, where she also gained hands-on patient care experience at the hospital laboratory and sleep clinic. She then continued her education at Midwestern University in Downers Grove, IL, earning a Masters of Medical Science in Physician Assistant studies in 2008. 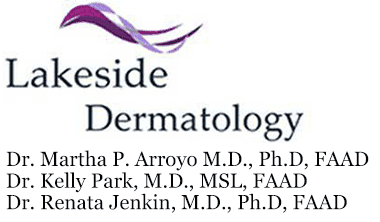 She has been in practice for more than ten years, and prior to joining the Lakeside Dermatology team worked in downtown Chicago, specializing in surgery and oncology. Kristen strives to maintain excellence in her practice through ongoing education and research. Her own prior research into surgical weight loss outcomes was published in 2015, and received an award of distinction during conference presentation. She is a member of the Illinois Society of Dermatology Physician Assistants, and routinely attends conferences to gain insight into new technologies and medications. As someone who has been treated for rosacea since a teenager, Kristen understands first hand how skin disorders can impact someone’s confidence and quality of life. She is eager to engage her patients in formulating treatment plans that take into account their preferences and lifestyle. Kristen was excited to move back to Libertyville recently with her husband and two young daughters. She is a busy mom, but loves running outdoors and biking whenever she has free time. She also volunteers for overseas medical missions, most recently traveling to Nicaragua to work with trafficked women and children.